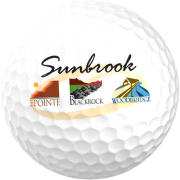 Sunbrook Golf Course is right in town and has a great variety of what the Red Rock Golf Trail has to offer. Play from the top of the bluffs to the desert floor. Shoot-through black lava rock and try to avoid the red sand traps. With beautiful views of red rock formations and nearby alpine mountains, you’ll be in awe over the amazing landscapes that surround this course. Bridges, water hazards and elevation drops make every hole an adventure! There is even a par 3 island hole that will leave you dreaming about a hole-in-one. The crown jewel of St. George City owned golf courses is the Sunbrook Golf Course. Sunbrook features three distinct nines. The Pointe nine meanders through the foothills of the west side of St. George, offering tremendous views of the surrounding landscape. The Pointe has plenty of water hazards and some great risk/reward holes.The Wood Bridge nine features two of the most recognizable golf holes in southern Utah. The 4th hole is a par 3 with an elevated tee shot to an island green. The island green is generous in size but it is still no consolation to golfers wishing to avoid dumping that new Titleist into the water. And if an island green isn’t enough, the par-4 5th hole has more in store for you. From the tee the famous wood bridge is visible just beyond the landing area. The hole requires a well-placed tee shot between water hazards and sagebrush, all from an elevated tee. Once you find the landing area, you will face a long approach shot into a well-guarded green. The newest addition to Sunbrook is the Black Rock nine. With three holes carved from lava fields, Black Rock puts a premium on accuracy. Black Rock has improved the overall playing experience at Sunbrook resulting in an unmatchable variety of championship golf holes.